An escape of oil can cause a significant risk of contamination to your property. It can cause noxious smells which can be harmful to your health if left untreated. The gradient of the site can contribute to the migration of the oil plume, which a property owner can be held liable for. It is essential therefore, to deal with an escape of oil in a speedy and professional way. Left untreated, oil, diesel or kerosene can have long terms effects on concrete foundations, floors or walls of a property. The fumes can penetrate carpets and soft furnishings, which may not be possible to salvage. Depending on the extent of the oil leak (number of litres) the vapours from the oil in the ground can cause noxious smells. It can affect your eyes and lungs and be harmful to human health even in low levels of exposure. Balcombes work closely with various specialist bio-remediation experts. It is important to act fast to contain the oil spill and mitigate the damage. They will then analyse the contamination by taking soil samples around the house or garden to establish the extent of the oil plume. The soil samples are analysed in a laboratory to determine the level of Pertroeum Hydrocarbons present. These can be benchmarked against internationlly accepted standards. They can also analyse air quality and provided detailed sample results. Our panel of oil remediation experts provide the necessary report with detailed findings, recommendations and quotation for the remedial works. In some cases the oil leak can been excavation of the contaminated soil or ‘dig and dump’ as it is referred to. This can involve excavating internally and/or externally depending on where the oil leak has spread to. Flooring, skirtingboards and possibly built-in fittings, plumbing and electrics have to be removed. This is followed by a chemical treatment of the residual contamination. The treatment is environmentally friendly and samples are tested againt o see if acceptable levels have been reached. 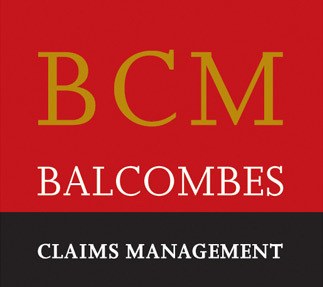 Balcombes have over 40 years experience dealing with oil leak claims on behalf of property owners. We can compile all the written reports and full costings in a statement of claim. Agreement should be sought with the loss adjuster on the actions to be taken before works proceed. Sometimes carpets, curtains and soft furnishings may have to be replaced if they are deemed to have absorbed noxious odours. If the property is deemed uninhabitable we can negotiate cover for alternative accommodation for the period necessary to carry out the works. We offer professional advice to you and there is no obligation following a free initial consultation to assess your loss or damage. ‘Contact us’ and one of our experienced Property Loss Assessors will discuss the issues with you to see how we can help you with your claim.